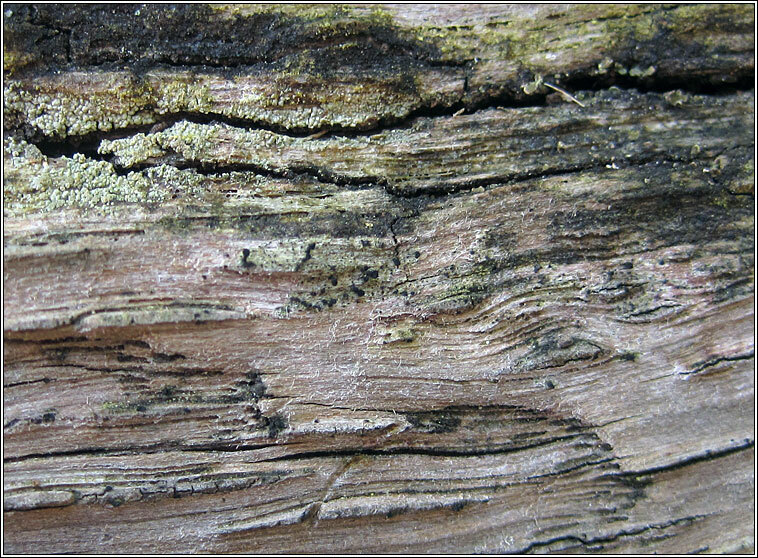 Common on lignum of fallen and standing dead trees and on tree stumps, also on fence posts and untreated timber. 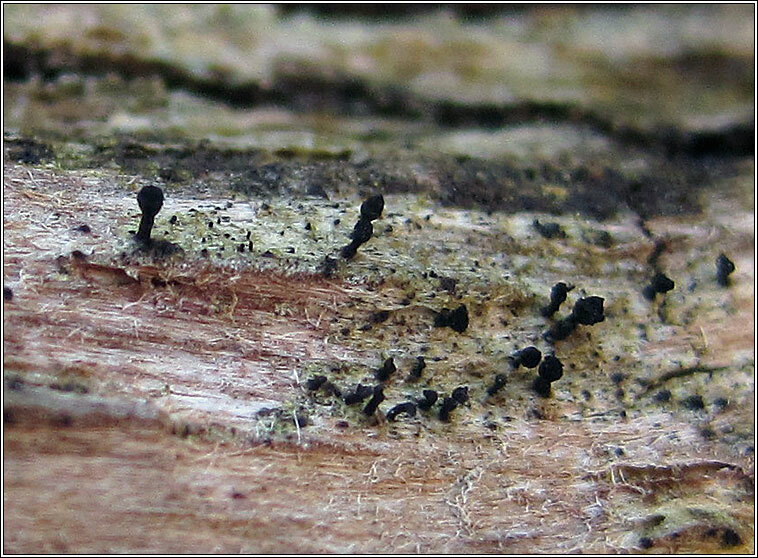 Short-stalked black apothecia, usually with faint white pruina below head. Thallus very thin, usually immersed. 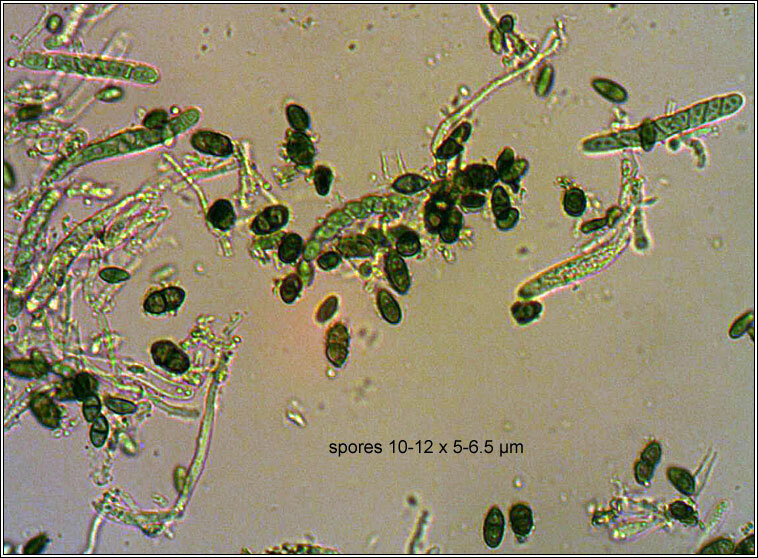 Spores9-13 x 5-6 µm. 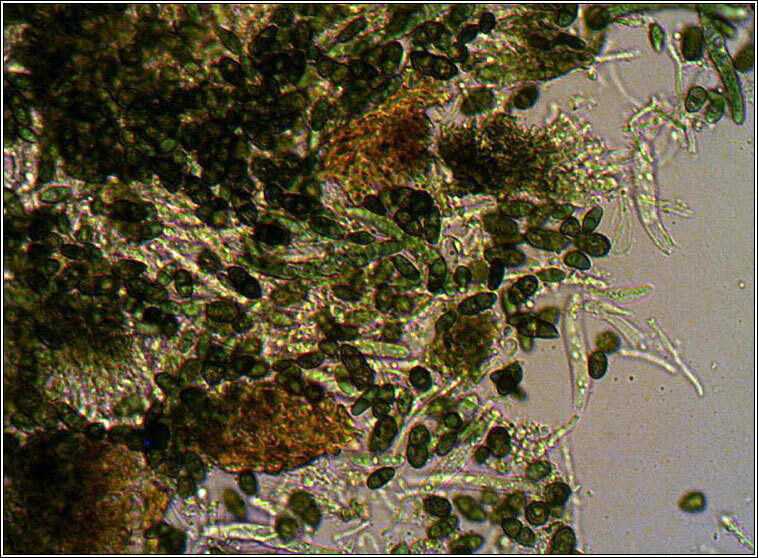 Pycnidia frequent, conidia 4-5 x 0.8 µm. Photobiont Trbouxia. Micro photo below. 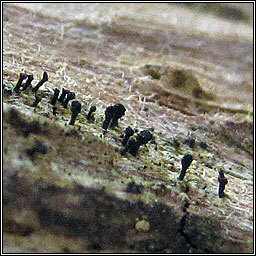 Similar: Calicium abietinum has black-brown apothecia, pruina absent. Chaenotheca ferruginea, brownish spore mass, thallus pigment K+ red.